Clowns inspire laughter and happiness in some people, and fear or aversion in many others. They have been around for more than 4,000 years and in nearly as many places and cultures, entertaining or frightening Egyptian pharaohs, Chinese imperial courts, ancient Greek and Roman audiences, and Aztec rulers, to name just a few. In this blog post, we take a look at clowns of the circus and stage as represented in the City Museum’s collections. Powers returned to the role of Biggs in the revival staged the following year, which received more favorable reviews from the press. While Powers performed regularly as Biggs the clown on the New York stage, other clowns traveled on railroads across the United States with circus companies like Ringling Bros. and Barnum & Bailey, in an effort to bring the show to as many Americans as possible. Ringling Bros and Barnum & Bailey Magazine and Daily Review. 1926. Museum of the City of New York Theater archives. Talking clown has gone – replaced by comical horde. Ringling Bros and Barnum & Bailey Magazine and Daily Review. 1926. 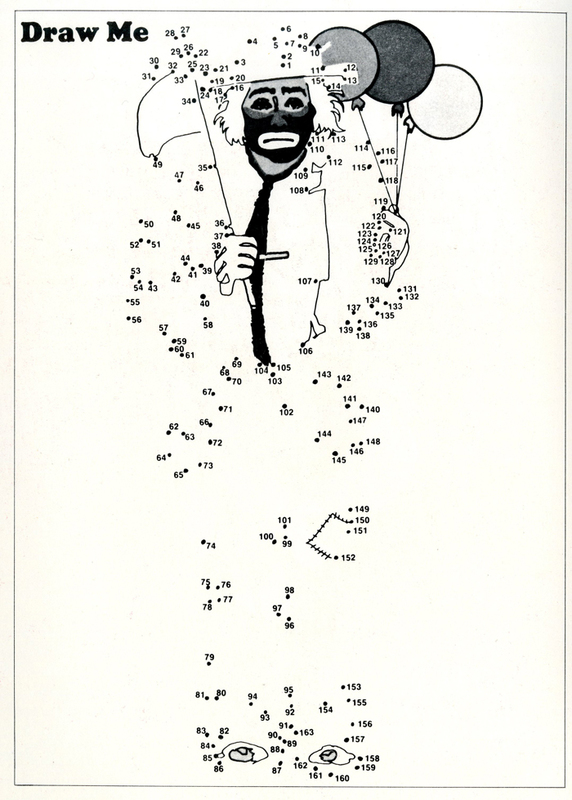 Museum of the City of New York Theater archives. 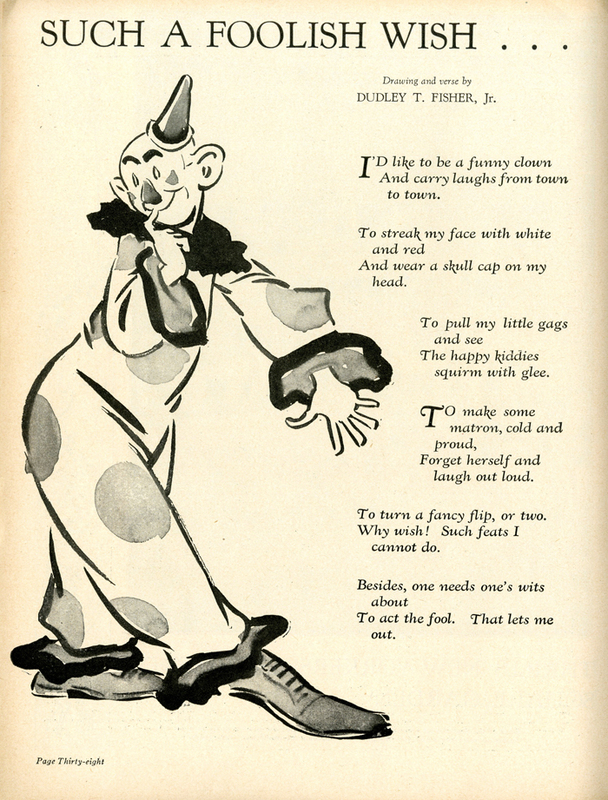 In spite of the magazine’s claim that the circus “has forced personal appeal to yield to organization and ensemble,” it chose a single, standout clown each year for a feature story. On of these, Paul Jerome, shown below in the 1936 Ringling Bros. and Barnum & Bailey Circus magazine and program, performed with the circus company for more than 25 years. Paul Jerome. 1936. Ringling Bros and Barnum & Bailey Circus Magazine. Museum of the City of New York Theater archives. Felix Adler took up clowning as a teenager and worked for Ringling Bros. He served in World War I and often entertained fellow military personnel. After the war he returned to Ringling Bros. and never missed a performance, from 1919 to 1946. Felix Adler. 1937. Ringling Bros and Barnum & Bailey Circus Magazine. Museum of the City of New York Theater archives. 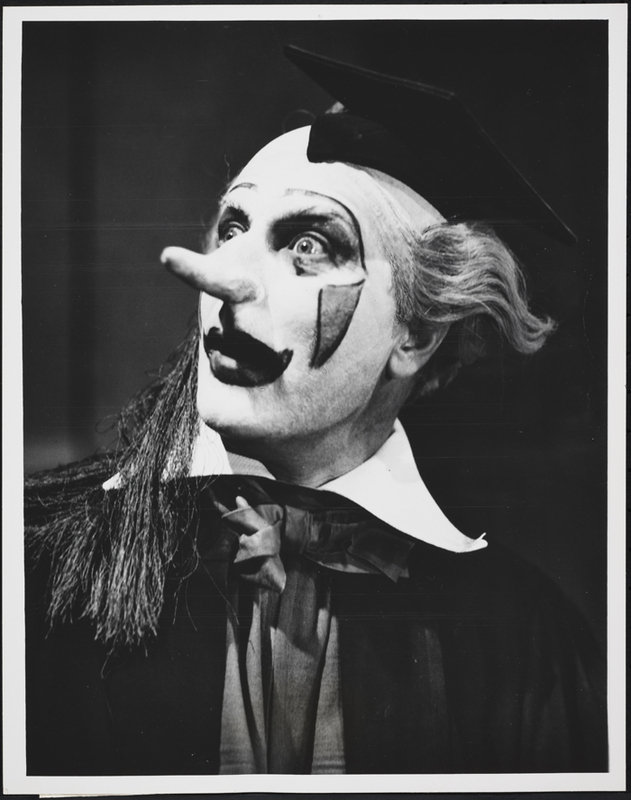 The actor Dennis King played the role of Funny in the 1946 revival of Leonid Andreyev’s play, He Who Gets Slapped. (The character’s name was He in the original 1922 production.) Funny begins as a nameless man, betrayed by his wife and his best friend, who runs away to join a circus and become a clown. His role in the circus is to have his face slapped for the amusement of the audience, hence the title of the play. The entertainer Bobby Barry performed with King in He Who Gets Slapped. The same year he also played the part of Bozo in Burlesque, and was described by The Billboard as the “diminutive comic husband” of “beefy gal” Gail Garber. Lou Jacobs was born Johann Ludwig Jacob in 1903 in Germany. He immigrated to the United States in 1923 and initially found work as a contortionist. He joined Ringling Bros. and Barnum & Bailey in 1925 and worked as a clown until declining health forced him to retire in 1985. During the 60 years he performed, Jacobs was arguably the most famous, instantly recognizable clown in the world and even appeared on a United States Postal Service stamp in 1966. He died in 1992 at the age of 89 but is still remembered today for his contributions to clowning. Emmett Kelly, Jr. was the son of famous clown Emmett Kelly, who created the endearing character “Weary Willie.” When Emmett Kelly, Jr. adopted his father’s character and debuted at the Kodak Pavilion at the 1964 New York World’s Fair, he was dogged by comments like “He’ll never be as good as his father.” But he took those criticisms in stride and continued to perform until his death in 2006. Draw me. Emmett Kelly Jr. Star Spangled Circus program. 1974. Museum of the City of New York Theater archives. Avner the Eccentric still writes, directs, and performs his own material, in addition to teaching master classes in clowning and developing workshops for students and professionals in healthcare, education, and counseling. So many people are frightened of clowns, there is a word to describe it: coulrophobia. Even though the term is thought to have been coined in the 1980s, fear of clowns has probably existed as long as clowns themselves. But clowns also captivate and fascinate people, a fact not lost on showman Irvin Feld, who created the Ringling Bros. and Barnum & Bailey Circus Clown College in 1968 to foster new talent. To date nearly 1,300 people have graduated to become clowns. Such a Foolish Wish by Dudley T. Fisher, Jr. 1937. Ringling Bros. and Barnum & Bailey Circus Magazine. 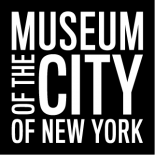 Museum of the City of New York Theater archives. 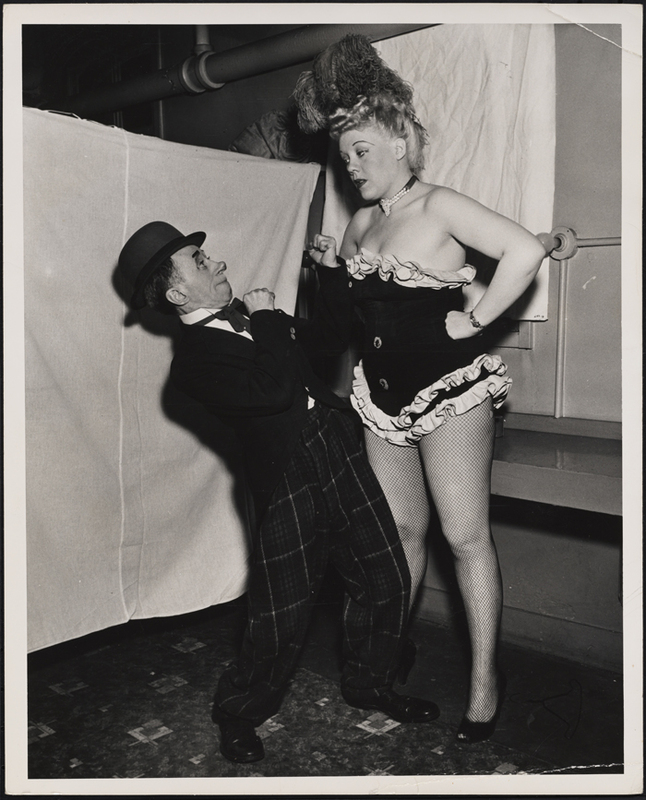 This entry was posted on September 23, 2014 by Lauren Robinson in Digital Project, Photography Collection, Theater Collection and tagged Avner Eisenberg, Circus, Clowns, Dennis King (1897-1971), Emmett Kelly (1924-2006), James T. Powers (1862-1943), Lou Jacobs (1903-1992).